Schrade Compact Pocket Carry Sharpening Rod | BUDK.com - Knives & Swords At The Lowest Prices! 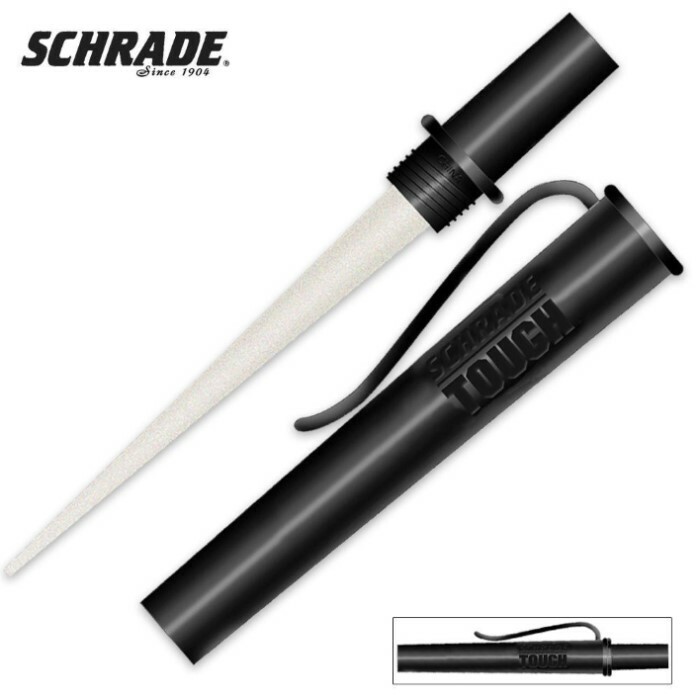 Keep all your pocket knives honed to a razor-sharp edge with this compact pocket carry sharpening rod by Schrade. The diamond dust sharpening rod fits right in your pocket so you can sharpen you knife whenever you need to. This is the best sharpener I've bought from this organization so far. It scratches the blade a bit, so you better practice your surgeon skills if you plan on sharpening a knife and keeping that pretty paint job on it. With this in mind, it's just about the sharpest my knives have ever been. Overall, the biggest problem I've had is finding more knives to sharpen! TL;DR: Get it.